As the end of my year in China was nearing, the entries in my diary about lunches and dinners start getting longer with more details than before with the beginning of July 1976. While eating out used to be a pleasant variation to our socializing in the school’s dining hall, it now gradually turned into a way to consolidate friendships to make the last beyond the final good bye. One lunch stands out, both in my diary and my memory. 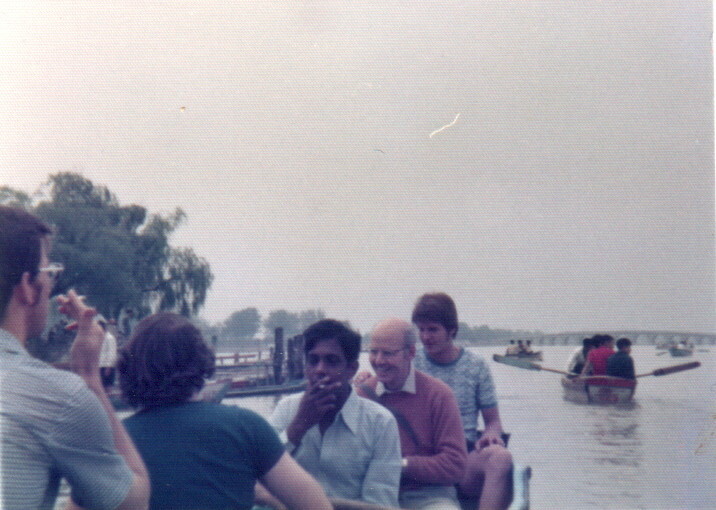 Saturday, July 3, 1976 + Sunday, July 4, 1976: Torge’s birthday lunch party in the Summer Palace. I can hear you think: that must have been some lunch that lasted until the following day. It was. Perhaps I need to re-introduce Torge. I have mentioned in earlier chapters that Torge was a guy you just had to like. He was an open book and would tell no lies, nor beat about the bush. He often struck us as extremely naive, probably simply because that was what he was. . .
His entire sojourn in the Beijing Language Institute had been one trying struggle with the Chinese language. He absolutely gave his utmost to learn it, but new words, Chinese grammar, the four tones and particularly those thousands of little drawings known as Chinese characters, seemed to slide off Torge as if he were made of Teflon. . . He could make himself understood in English, but also that language did not come natural to him. He would, e.g., talk about the large number ‘porks’ in China. Many of us, definitely including me, would pick that up, and point out that you could also see many ‘muttons’ and ‘beefs’ in the farms around the Chinese capital as well. Torge never understood why that was so hilariously funny. . .
Torge’s naïveté again played up in his choice of the location of his birthday party. The Summer Palace complex included an excellent but expensive restaurant. After having eaten their once, Torge liked it so much, that he decided to book it for his birthday lunch, without considering whether he could afford it. Torge was liberally inviting all fellow students he liked; and he liked many. When we left the campus on bike, we knew that Torge would get into trouble, so we decided that our best birthday gift would that we would go Dutch, which obviously appealed to me. The main dish during the lunch was the ‘life’ fish that restaurant was so famous for. The chef’s pièce de resistance was a kind of fish that was prepared so rapidly that the muscles of the creature’s mouth would still move, when the dish was served on the table. That dish’s pitch was that the route between catching the fish and placing it on the dinner table took only four minutes. The trick was that you would pick up your glass with the strong Chinese liquor and pour a little bit in the fish’s mouth, which would make it move as if the cooked creature was gasping for air. This was always good for a few screams, particularly from the female dinner guests. That lunch made us so happy, that we spontaneously decided to hire a boat to do some rowing on the lake of the Sumer Palace. Chris and I were not in a mood to row, but luckily there were a few activists who wanted to show off their public spirit, so we had at least two rowers who could take turns in each of the two boats. We had a good time, and Chris even fooled around by pretending to try to overturn our boat. It was a rare display of clowning that I had never noticed from the first day we met at Amsterdam Central Station, a few months before our departure for China. It was probably the best indication that we were all genuinely in high spirits. By the time we returned to the Institute, we were in a mood for a real BLI foreign student party.
. . . I tried my luck by proposing to make another bowl of Peter’s Potent Punch, for old time’s sake, but my friends did not fall for that. We stuck to buying beer and pooled together our private stashes of foreign liquor that some of us had hidden in our closets. Therefore, we still had all the ingredients for a dirty chemical reaction, but it had to happen in our stomachs, instead of in a washing bowl. What we had so far never succeeded to do suddenly happened that evening: several of our Chinese roommates participated in the drinking. It seems that they as well felt that the end of our shared lives in the Beijing Language Institute was nearing. Even the most revolutionary school leader would not object to their participation in one decadent party. . .
My roommate also turned up. As I mentioned before, I had a good relationship with him as a roommate, but we had never become friends. He did not seem interested in anything but ‘resting’, and I am still wondering how he got selected to study English in the Beijing Language Institute, particularly during the Cultural Revolution. He seemed to symbolize everything that the Cultural Revolution did not stand for. . .
Our partying was undoubtedly another experience with a high degree of culture shock. Chinese do drink and at times drink a lot, but do so during dinner. . .
We would invite our Chinese roommates to join us with a drink, but they would reject it most of the times. This could have partly been caused by the Chinese face mechanism. They had nothing to offer us in return, so it would be better not to accept too much from us as well, to maintain a proper balance in our relationships. However, that evening several or our roommates did turn up.
. . . Maybe the Chinese also sensed that there was something in the air that day. We felt it during Torge’s birthday lunch and the consecutive boating. This was a feel-good day. We returned from the Summer Palace in a particularly good mood, and without bothering to rest, started to prepare for the party. I guess our Chinese friends simply got infected with that happy virus.
. . . It escaped my attention entirely, as I was engaged in what we always did during parties. And I still did not regard myself as my brother’s keeper. Chris got drunk a few times that year and we let him. We would carry him upstairs; that is what friends are for. It is not a friend’s task to take over the role of parent and berate a peer about his alcohol intake. Around eleven that evening, without any visible warning, my roommate suddenly fell from the bed he was using as a couch. We helped him get up, and he woke up quickly. However, it was evident that his body and mind had started to separate. He was raving incoherently, and we were afraid that he was showing signs of alcohol poisoning. We tried to get him back to our room, but for security’s sake, and to spare me the dirty job of having to clean our floor after him, we first took him to the toilet to make him puke. Surprisingly, he never did. We then dragged him back to our room. It was a job that required four people, as he started to struggle, although he seemed to do so subconsciously. When we had finally put him on his bed, we still had to continue our firm grip, to prevent him from standing up again. . .
After a while, he gradually calmed down. A couple of fellow students stayed with me in our room, to make sure that he would not vomit after all and choke to death, or slip away in a coma.
. . . It was interesting to observe that all these efforts to contain my roommate were made by foreign students. The other Chinese had quietly disappeared back to their rooms. It was obviously not a scene you would want to be seen involved with. The cheerful mood had given way again to a watch your back mode of apprehension. Apparently, none of them discussed the incident with their foreign roommates. Wang slept for a long time. He slept the entire night without waking up and slept most of the following day. He woke up at 11:30 am. He looked at his watch, believing that it had stopped or something. He had no idea, that it was almost noon the following day. He got up, washed and dressed, but when he returned to our room, he fell back on his bed and continued to sleep. It probably was his first hangover ever. . .
. . . a group of his classmates, interestingly mainly girls, visited our room two days after the event. It was a surprising experience for me. They came in without announcing themselves to me. They actually did not seem to notice that I was there. They positioned themselves on our beds, plural because some of them sat on mine, and started to berate Wang. That was the first time that my neutral feelings for Wang gave way to an actual liking. I had seen many criticizing meetings in Chinese films, but Wang’s reaction to the scolding was very different from the way the people on the wrong side of the criticizing behaved in films. Wang was defiant. He did not apologize and even pointed out equally ‘improper’ behavior of other students. So he put himself in the position of criticizer, whilst being criticized. . .
After the criticizing session, Wang immediately fell back into his regular demeanor. The defiant, feisty, and likeable Wang was repressed again behind that familiar emotionless expression. He did not bring up the criticizing meeting. The next event in my diary was also related to our return home: We arranged our flights back to the Netherlands on Tuesday, July 6, 1976. We would backtrack our route to Beijing. This implied that we had to take a domestic flight from Beijing to Guangzhou, get on the train from Guangzhou to Hong Kong, and fly back from Hong Kong to Amsterdam. At the Embassy, we learned that we could pick up our tickets to Amsterdam at a travel agency in the Peninsula Hotel in Hong Kong. The Chinese Ministry of Education would see to it that we would be picked up at the Guangzhou Airport. So the only thing left for us to do was to buy our tickets to Guangzhou. We did so that afternoon at the CAAC office. As very few people would fly around the country that time, and even fewer abroad, we had to line up for only a few minutes to purchase our tickets to Guangzhou for July 29. That purchase marked the start of the countdown to our departure. The date was set, and a simple subtraction taught us that we had only 23 days left in Beijing. We reckoned that the best part of that time would be spent on saying goodbye, to our teachers, our roommates, the few acquaintances we had gotten to know in town, the restaurants that had been such a source of pleasure, and especially our most intimate friends at the Institute. We were ready to go. However, the most turbulent event of that year in China was still ahead of us. After May Day, the air in Beijing warms up rapidly. It is clearly noted in my diary, as I am not a summer person. This was accompanied with a number of changes. The rapid greening of nature was definitely a positive one, but less so were the mosquitoes that seemed to appear out of nowhere. As mosquitoes could transmit encephalitis, we were offered an encephalitis shot we on June 1, 1976. It was made available to us on a voluntary basis. Even then, the school would not want to force foreign students to be injected with unfamiliar substances against their will. Fortunately, we were not troubled much by mosquitoes in our school. 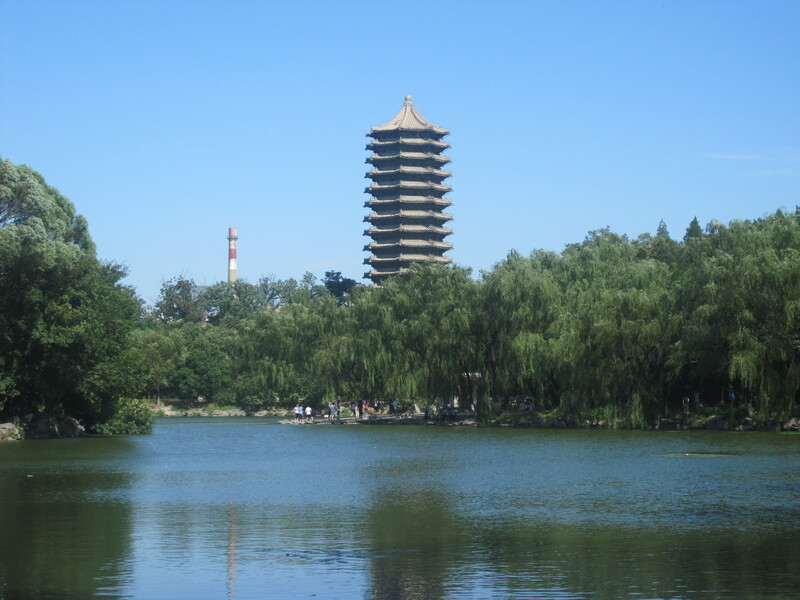 A few years later I was living on the campus of Peking University with its idyllic ponds that changed into breeding grounds of mosquitoes from late spring. You had to sleep under a mosquito net then to get some sleep. Talking about Peking University . . .
. . . We were invited (read: summoned) to meet the Ambassador on Sunday, June 3, 1976. He had received an important notice for us from the Chinese Ministry of Education. . . The message turned out to be an invitation to move on to Peking University to ‘study Chinese’ there. 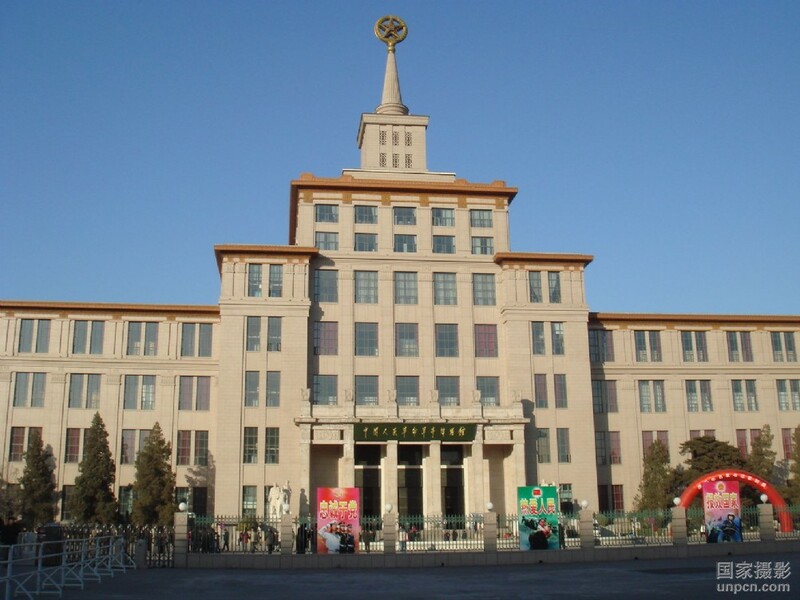 Officially, the Beijing Language Institute was a transitory school, to train foreign students to the level at which they would be able to follow courses at a regular university. 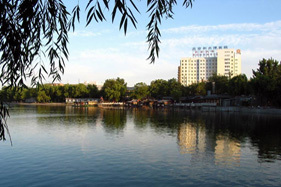 In our case, as we had only a couple of months left in Beijing, the idea of moving all our belongings to a new dormitory in another university, though quite close to our school, sounded uninviting. We believed it was one of those indirect Chinese messages, telling the Dutch Ministry of Education that they were pleased with the exchange of students so far, and that they intended to take it to the next level. Later, we learned that the Chinese government had already decided to send a couple of students, future diplomats, to The Netherlands to study Dutch. That meant that a real exchange program would start and although Chris and I were already studying Chinese in China, doing so in a genuine university would look even better. . . Neither of us was eager to make that move, so we declined. The Ambassador seemed to understand, but asked us to at least give it a thought. We told him we would, of course. Anyway, I would spend two bouts in Peking University during later years anyway. First it was time for a military adventure. One of the venues not yet covered by our many school outings was anything military. People in those typical green uniforms could be seen everywhere, but we had not yet entered any military organization.
. . . Early in the morning of Thursday, June 8, 1976, we boarded a school bus once more. It would drive in the direction of Tianjin, the port city close to Beijing, but stop somewhere in between these two cities, at a place called Qingxian. During the Introduction we learned that this infantry division had been formed in 1937, during the war against Japan. After the capitulation of Japan, it had continued to fight in the civil war between the Communists and the Nationalists. . .
After 1949, the division had not had much time to rest, as it was sent to participate in the first four campaigns of the Korean War during the early 1950s. . . It was a typical Chinese military unit. It was not only a group of fighters, but formed a small society by itself. It cultivated its own fruits and vegetables and raised its own pigs and cows, achieving almost complete autonomy from the outside world. We visited a small bean curd workshop, where soybeans were processed into bean curd and soybean juice. . . .We were offered to sample the fresh soybean juice, the leftover of bean curd making that many Chinese regard as a refreshing drink. A few Western students dared to savor the whitish liquid. Two of them barfed the stuff out immediately, together with the military lunch we had enjoyed earlier. It was an acquired taste, and they clearly had not acquired it yet. . . This expression of self-sufficiency was not simply a thing of the Cultural Revolution. It had its roots in the symbiotic relationship between the Chinese army and the Communist Party. After 1949, the army even established huge farms that ranked among the most modern of the nation. Self-sufficiency is part of the DNA of the Chinese military. . . 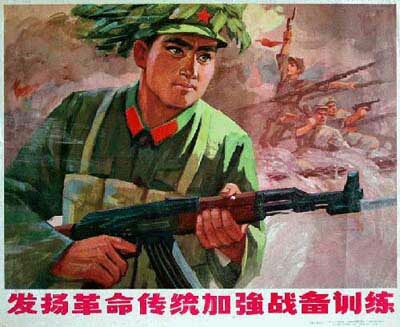 The idea was transferred to other work units as well (after all, the term ‘unit (danwei)’ is a military concept). 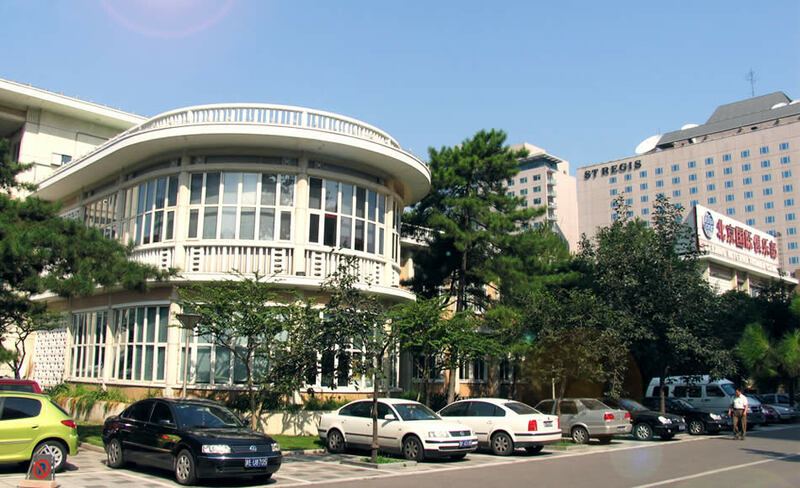 The Beijing Language Institute, e.g., grew fruit trees on campus, which was the school’s humble attempt to be a productive unit of society. . . The entries in my diary for the remainder of June show the appearance of a Pakistani student: Isar. He was one of those students from a developing country sent to China to study science, in his case medical science. His family had more or less designated him to study medicine, but he himself was dreaming of joining Pakistan Airlines as soon as possible, flying around the world as a purser. Although Isar was a Muslim, he drank alcohol as we did, which sometimes got him into trouble with the other Pakistani students. BLI had more Pakistani students. Through Isar I also got to know an officer of the Pakistani army, who had been assigned to learn Chinese, to become a liaison officer. Isar was gregarious, and liberal. Unlike several of the African students we used to hang out with, he did his fair share of picking up tabs in restaurants and bars. I had a broad interest in foreign cultures and was set on in getting the most out of my stay in China, not only in learning about the country itself, but also from the contacts with representatives of such a variety of cultures. Eating out in China was not a problem for Muslims.
. . . , a new restaurant had enriched our dining options: the Xinjiang Restaurant. Xinjiang is a so-called Autonomous Region, located in China’s far west. It is like a province, but as it is mainly inhabited by non-Han nationalities. . . The main nationality of Xinjiang are the Uighurs, a Turkish people, most of whom were Muslims. Years later, I learned from an officer of the Turkish Embassy in Beijing that Uighurs visiting the Turkish Embassy can have a sensible conversation with the Turkish diplomats, while each side is speaking its own language. I could never confirm this story through personal observation, but it can be true. Perhaps it is like Dutch and Germans trying to converse in their respective language. We believe that we understand 80%, while in reality it is at most 60%. 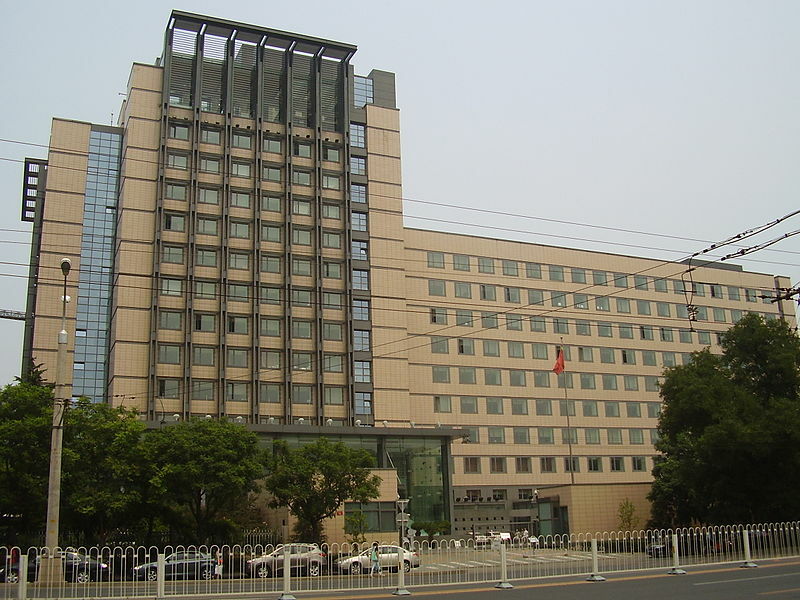 All major administrative regions of China have representations in Beijing, which function as de facto embassies. In a large autocratically administered country like China, local governments have so many issues they need to coordinate with the policies of the national government, that it is worth to investment in a permanent representation in the capital. Such an organization will regularly receive guests from the home region, to discuss policy matters with counterparts in central ministries. These people need to be put up, and it makes sense that their local ‘embassy’ books hotel space. . .
Once we had learned about it from Ronald, after he had checked it out with his cronies of the ‘Second Secretary Luncheon Club’, we followed his advice and it was love at first sight. . . 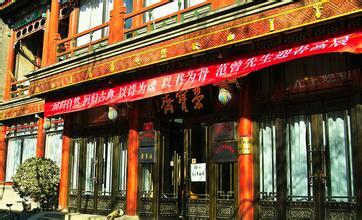 It immediately replaced the Chengdu Restaurant as our favorite eatery. My friends and I were carnivores and meat is an important ingredient in Xinjiang cuisine. The restaurant served the best mutton we had ever tasted. Some familiar people started to leave. We joined Ronald and few other members of the Embassy staff to the Capital Airport to bid farewell to the Ambassador and his wife on Tuesday, June 22, 1976. It reminded me of the fact that I would be in the same position less than 2 months from that day. But I first took a dive in the Ming Tombs Reservoir.
. . . The last Sunday of June, Ronald and Sarah picked me up for dip in the Ming Tombs Reservoir. 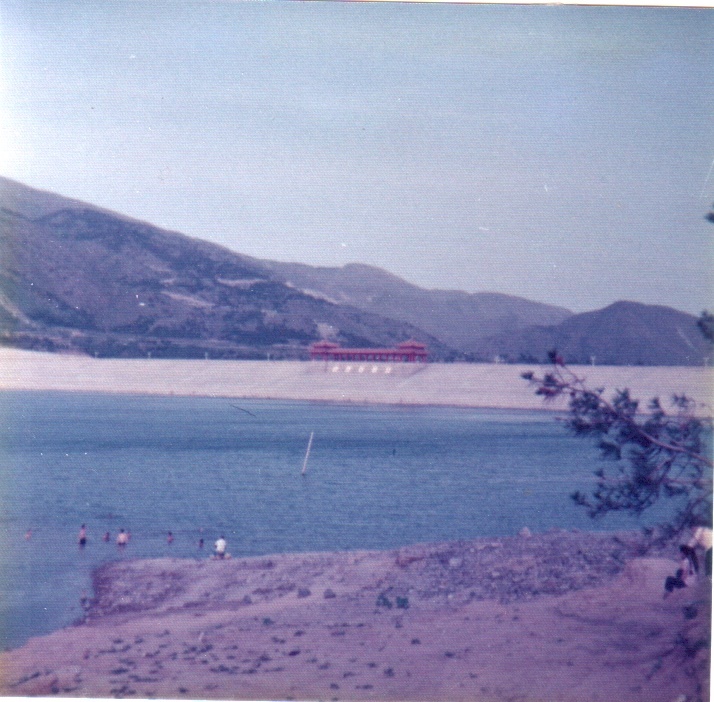 It was a man made reservoir named after its proximity to the Ming Tombs. Chris declined the invitation. I assume he could swim, but I guess that walking around in swimming trunks did not agree with his self-image as a future diplomat. At that time, swimming in the reservoir was still allowed. It is forbidden now, probably because so little water is left that one can hardly swim anyway. When we arrived, I was surprised to see quite a few Chinese there already, mainly young people, enjoying a swim on that hot Sunday. In an earlier chapter, I noted that it was interesting to see Chinese women wearing skirts during the National Day celebrations. By then we had already grown used the unisex dressing style. This little difference between male and female dressing was continued when the temperatures rose. The female Chinese students were all wearing baggy trousers and short sleeve shirts, like their male counterparts, again with minor differences that you needed to learn to note, and appreciate. . .
Now I was confronted with a group of several young Chinese women in bathing suits. Bikinis were obviously out of the question, but even to see them swim and walk around in tight bathing suits was a rare sight for me. They were accompanied by an equal number of young men in swimming trunks and their interaction struck me as quite natural, as if it was a daily routine for them. They could have been the offspring of what then constituted the ruling elite. The very fact that they had reached the reservoir indicates that they probably also had access to some kind of private transportation. . .
That Sunday was almost like one we could spend in any outdoor swimming pool on a hot summer day in Europe. People coming out with food and drinks, changing into their swimming suits, and spend the day swimming, eating, drinking, frolicking and chatting, in random order. I felt so relaxed that I forgot that the sun and I were not close friends.
. . . Back in my dorm, my roommate Wang showed his surprise (he rarely did show his emotions), when confronted with the red color of my face, arms and back. Interestingly, when you get burned like that, you seem to be less troubled by the heat in the room. By that time, the rooms had become little ovens, and sleeping had become problematic for most North-Europeans. However, I remember clearly that the room actually felt comfortable, as if my body was giving off heat to the air, rather than the other way round. I slept remarkably well that night. . .
Heat would be a major ingredient of each of our final days in Beijing. Labor Day felt differently to me than for most other European students. May 1 is not a national holiday in The Netherlands. As good Calvinists, we celebrate labor by laboring a little bit more. In fact, our activities of that day closely resembled those of the National Day, October 1. We went to the Summer Palace in the morning and the Sun Yat Sen Park in the afternoon, the reverse order of our National Day activities. We did not want to skip the outings, of course. No occasion to board the school buses was missed. The behavior of the Chinese also seemed less enthusiastic as during National Day.
. . . Apparently, by the end of the Cultural Revolution period (of course, we did not know it was the end then), people had become so numb and apathetic that their enthusiasm for October 1 and May 1 was equal; i.e., equally low. As for the performances, I only remember one act that I saw that day, but I remember it in great detail, so it must be another of those experiences during that year that has left a strong imprint in my memory. . . Equipped with the necessary background knowledge this was a masterpiece . . . of deception. First, most teenagers sent to the countryside led miserable lives and longed to return to their hometowns. However, that was not allowed and could only be accomplished by a few, with the help of an acquaintance or by bribing. The performers, I do not know whether they were volunteers or had been assigned to do this jiemu (performance), undoubtedly knew this and so did most of the spectators. This was probably why the performers, although their act itself was flawless, did not really radiate enthusiasm; and why there was no applause from the apathetic audience. The only explanation that makes sense in the Chinese political environment of that time is that so many teenagers tried to go back, resulting in an equal number of parents rattling on all the backdoors they hoped to be able to open, that the government wanted to tell them to forget it; that their attempts would fail. Performing art has been used for political purposes in China for centuries. Mao Zedong himself had been criticized in a Peking Opera, just before the eruption of the Cultural Revolution. . .
A more energizing activity was a visit to the Jishuitan Hospital. This was another hospital specialized in sewing back severed limbs. You may remember our visit to such a hospital in Shanghai, during our winter holiday trip.
. . . The hospital alone was worth a visit as well. Its name literally means: ‘Accumulating Water Pond’. That may not sound very poetic in English, but it does in Chinese, with its crisp monosyllabic words. The pond is a small lake around which the hospital has been built in the late 1950s. 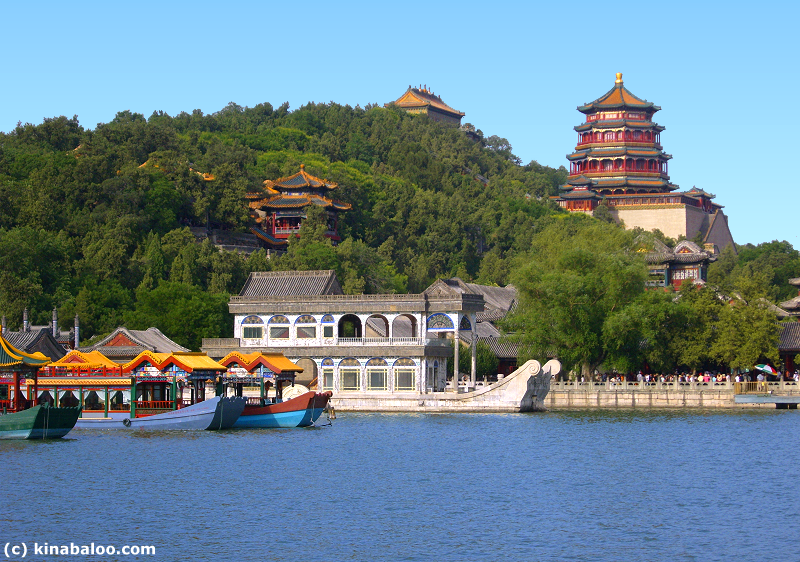 The lake is said to date from the Yuan Dynasty (1279 –1368). This was the first time that a considerable part of China was ruled by non-Han emperors. 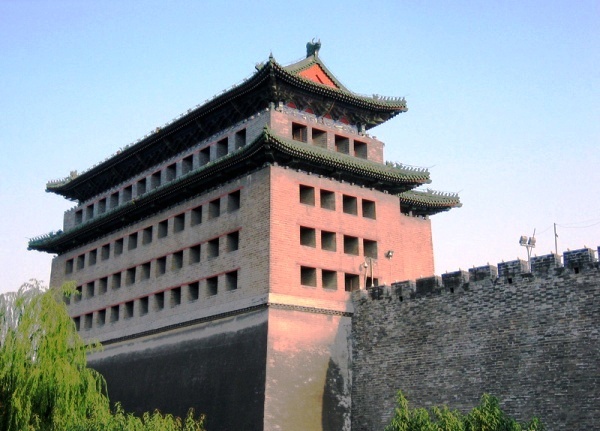 Beijing, then known as the Big City, Da Du, was located on the North side of the Beijing we know. Part of the earth wall of Da Du is still intact. A canal was dug to bring water to Da Du and the Jishuitan was part of that system. A salient detail in the records is that it was the place to wash your elephants. Now that may surprise most of you, but do not forget that one of the bonuses of having a non-Han government was that China was more open to foreign influences then than under the rule of conservative Confucianists. During the Yuan dynasty dignitaries from Southeast Asia visited the court in Da Du riding elephants. Marco Polo, another foreign visitor (though maybe not really a dignitary) to China of that time, describes this in his travelogue. Apparently, when they arrived at Da Du after what must have been an extremely long trip, they washed their elephants in the Jishuitan, as they were used to do in the rivers back home. . . The type of patients in this hospital was also comparable to those in Shanghai. 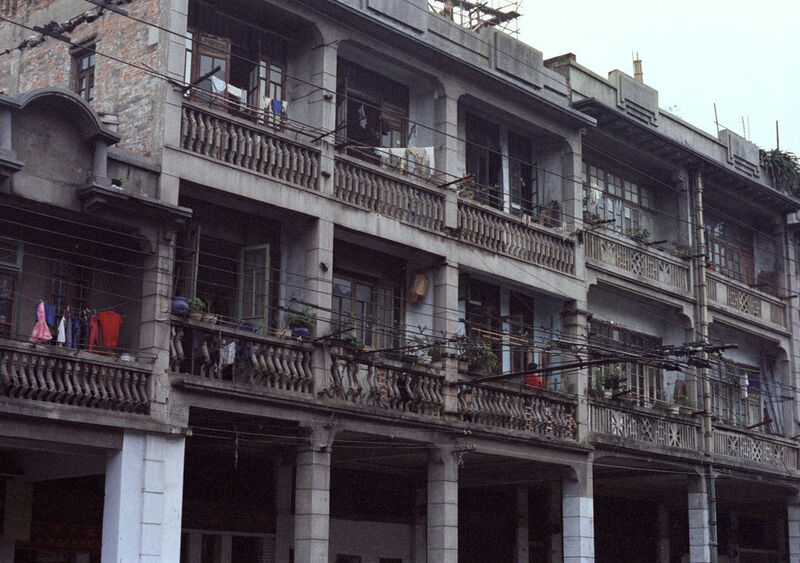 However, the people-repairing doctors of the Jishuitan Hospital also had an invention of their own.
. . . A surgical technique that we had not yet learned about in Shanghai was letting new flesh grow on bones stripped of flesh during industrial accidents by burying them in the belly of the patient. Once new flesh had grown on the bones, they were cut from the belly again, including sufficient skin to wrap around each finger. After that, the flesh on the belly would grow back. . .
. . . The people with their hand(s) temporarily buried into the flesh of their tummy seemed awfully young. Were they teenagers assigned to factories right out of Middle School and put to work at a production line without proper training? The doctors who proudly showed us their work were more interested in mending people with such special injuries, than trying to think about preventing freak accidents like that to happen. There is more honor to gain from healing people than from preventing them get injured. Two fellow students fell down. Watching all this was not for the faint of heart. Quite a few people felt their legs weaken at the sight of blood, and there was much more to see than a few drops of blood during this hospital visit. . . Regular readers will probably now realize that gloating over the fainting of fellow students was good for at least half the fun of this visit. The note in my diary: ‘Friday May 14. 1976: sold our winter coats’ indicates that winter was over. We sold the coats in the Friendship Store, which had a separate space, somewhere at the back, you needed to ask directions to find it, where foreigners could sell stuff they wanted to get rid of, but could still be of use to others. The second half of the diary entry for that day says that we dined twice that evening. This may sound as excessive, and it probably was, but it makes an interesting story.
. . . We were invited by one of the lower officers of the Dutch Embassy and his wife. He was a pleasant non-nonsense type of a man; not trying to pose as a sophisticated diplomat like Ronald. He had told us that we were expected from 8 p.m. Their apartment was located near the Friendship Store, and we had a few hours to kill after selling our padded coats there. We Dutch take our dinner quite early, typically around 18:00 hrs. This is a habit that we share with the Chinese. We were therefore not sure, if we would be fed a full meal that evening, or that we would be offered drinks and the usual snacks. We walked the short distance from the Friendship Store to the International Club, to have a light dinner there. . .
. . . After that dinner, we walked to the diplomatic compound behind the Club, where our host of the evening was residing. We were let in, had drinks and snacks, and chatted with the hosts and a Dutch businessman who had just arrived in Beijing for a fresh round of negotiations. Chris could even enjoy a huge Cuban cigar. Everyone had a swell time. The cook announced this as he was used to every evening that the couple dined in. There was nothing unusual about it. However, it was the moment that Chris and I realized that we were in for a second dinner. No problem. We dug into it, as if we had not eaten for a couple of days. It would have been wasting a good meal, and we spared ourselves the embarrassment of showing lack of sophistication. After all, we should have known better and especially for diplomat-to-be Chris showing that would have been unbearable to admit that in public. . . Speaking of dinners, the entries about dinners in my diary start to include business people from late April. Western business people usually came to China to negotiate deals with one of the state-run import-export corporations.
. . . These were often major deals, involving heavy machinery, up to the construction of a green field plant. Foreign companies would send one representative, or a few, to China to discuss the deal with counterparts of a proper foreign trade corporation. The Chinese government had established foreign trade corporations for all major industrial sectors. Their names tended to be boring and would usually be something like the ‘China [Industry X] Import and Export Corporation’. The employees of those corporations would be assigned to their positions as any other employee of China then. The leaders were obviously selected for their correct political track record, which was deemed more important than their knowledge of the industry. . .
. . .The foreign negotiator was therefore confronted with Chinese negotiation teams typically consisting of a main negotiator, politically correct and therefore not directly involved with the practical parts of the negotiation, at least one engineer who knew the business, but had to spend much attention to ensure that the main negotiator did not feel kept in the dark, and an interpreter who was usually unfamiliar with the industry and often had to be helped by the foreign negotiator and the Chinese engineers to find the proper words. . . This negotiation practice was tiring for the Western business people, so they were starving at the end of each day. They had a generous budget to spend on food, while we foreign students had the knowledge where you could eat well. That created great synergy. We usually got to know the Dutch business people during Embassy parties and in the course of the conversation made deals to meet them in their hotel during the coming week to lead them to a good restaurant.
. . . Chris and I started to get invited regularly by several such business people, to discuss China in one of the restaurants that we used to rave about during Embassy parties. We knew the language and the places, so we booked a table in the Chengdu Restaurant, or the Horn of Plenty, and they would pick up the tab. It was a good deal. We genuinely enjoyed the company of most of them. These were well-educated people with considerable business experience. Otherwise, they would not have been sent on such important missions. They often struck us as more open to China than most of the diplomats who only seemed to see what they wanted to see. Dinner was served early in China, and we often continued the conversation in the hotel of business people enjoying the drinks they had brought with them from the tax-free shops for boarding their plane to China. . .
Their appreciation for our knowledge was also a welcome change from the generally arrogant attitude of the diplomats. For me, it was another entry to the business world, after our bout of Open Door Schooling in the Dongfeng Bazar. It was a real win-win situation. After paying our respects to Premier Zhou Enlai, the Chinese political scene was hardly a priority for us. I would have difficult to try to learn more; even it had been, as we had little access to information. Still, the signs that things were fermenting behind the high walls of the Chinese government compound were there. The most conspicuous sign was the increasing criticism to Deng Xiaoping. 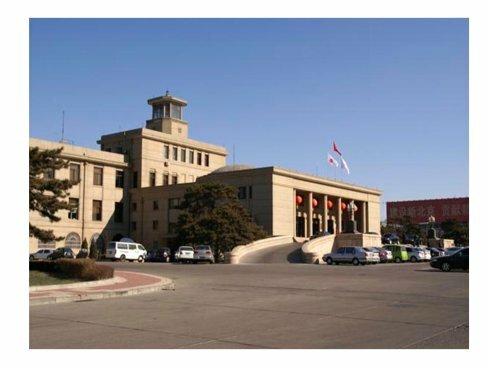 The phrase bu ken gaihui de zouzipai Deng Xiaoping ‘the unrepentant capitalist roader Deng Xiaoping’ was broadcast daily through campus loudspeaker system. No longer protected by Zhou, Deng was de facto outlawed. Chinese politics had been affected tremendously by the passing away of Zhou Enlai.
. . . Zhou had also been instrumental in arranging Nixon’s seminal visit to China in 1972. The path to that visit had been laid by the equally important visit of the US Table Tennis team to China a year earlier. It had also been masterminded by Zhou, and the idea behind it (letting a harmless sport event pave the way for the real thing) had become known as the Ping Pong Diplomacy. It had been under Zhou’s guidance that the People’s Republic of China had been recognized as the only China by the United Nations. And he had done all this, while his health was already deteriorating. He was the only sitting politician of that time who was genuinely liked by the overwhelming majority of the Chinese. . .
Zhou’s death left an empty spot in the hearts of the men in the street. It left an even bigger hole in the Chinese political scene. While Mao was hardly aware of himself, a fierce political struggle broke out in the highest political echelons. . . The Qingming Festival, at which the Chinese honour their deceased ancestors, was approaching. Like most traditional Chinese holidays, Qingming was not celebrated during the Cultural Revolution. However, when Qingming 1976 approached, more and more Chinese started bringing flowers to Tian’anmen Square as a gift for their beloved prime minister.
. . . The main attraction on that square at the time (now it is Mao Zedong’s Mausoleum) was the Monument for the People’s Heroes. It commemorated the martyrs who had sacrificed their lives for the revolution. It was a spot where people used to bring flowers around Qingming Festival for several years. It was therefore the ideal place to pile up the offers for Zhou Enlai. However, in 1967 the number of flowers and other small gifts, placed at the foot of obelisk-like structure was immense. 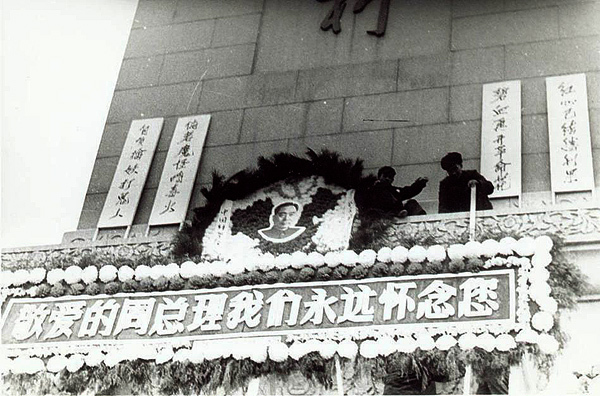 And there was more, except for floral wreaths and photographs of Zhou Enlai, texts were also stuck to the monument. There were exclamations like: ‘Premier Zhou, who is looking after your soul!’, which was a very overt hint that the current leaders of the country were not displaying sufficient attention to the commemoration of a hero like Zhou Enlai. . . I want to cry, but jackals are laughing’. The word ‘ghost’ was a reference to Jiang Qing, Mao Zedong’s wife who used to be likened with the ‘White Bone Spirit’, a demoness from a famous traditional novel Journey to the West。 She can take on any shape and usually tries to win the confidence of her victims by appearing like a pitiable or kind person. Once you lose guard, she grabs and eats you. . .
That most Chinese hated Jiang Qing was a public secret. You knew it, therefore there was no need to express it, as that could literally be lethal. The political leaders at first left the flowers and the writings untouched, probably hoping that it would gradually fade away. 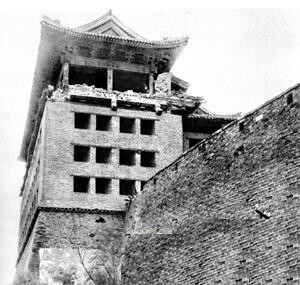 However, when it didn’t, and Qingming was approaching they apparently decided that the risk that the mourning for Zhou would evolve into an antigovernment movement was too big and let Public Security remove everything overnight. That proved a wrong bet.
. . . A growing crowd of people gathered on Tian’anmen Square in the morning of April 5 only to find their tokens of mourning for Zhou Enlai gone. The mood got grimmer with the increasing number of mourners. Hidden by the anonymity of their large number, several of them dared to start shouting anti-government slogans. The police were not trained to deal with that type of behaviour. 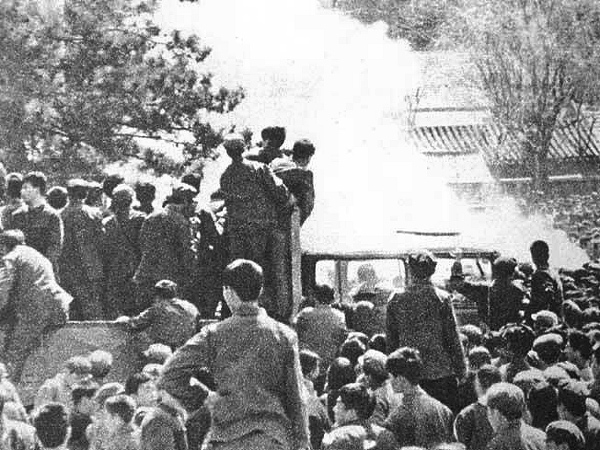 The only experience that Chinese police had with behavior that approached a riot had been during the first years of the Cultural Revolution. However, that had been a man-made riots, directed by a small group of people using the immaturity and ignorance of the teenagers and young adults who had been raised by their parents, teachers, and neighbors with the idea that they were the lucky generation tasting the sweet fruits of the revolution. . .
. . . Maybe it was the similarity between the organized riots of the Cultural Revolution and the spontaneous April 5 protests of 1976 that made the police hesitant to intervene. When the mayor of Beijing, Wu De, gave the signal to put a halt to the turmoil, the protesters outnumbered the police present at that moment, and attempts to disperse the crowd resulted in fighting. The mourners were no longer afraid. Several police officers were beaten and chose to retreat, while some protesters even set their cars afire. This gave the authorities an excuse to launch a full attack on the protesters, using a special branch of Public Security equipped with armor and batons. Chinese attach great value to their lives and will not easily sacrifice themselves even for the best of causes. Most of the protesters fled home as quickly as possible, and only a few diehards persevered, most of whom were arrested. . . I spent that day on the campus. We had learned about the wreaths and poems at Tian’anmen Square, and had been looking at them a couple of days earlier. We also sensed that this would not be allowed to continue for long, but lacked information about when the storm would burst. Ironically, we would not have learned so much about what was going on the square, if the School’s broadcasting system had not started to read Wu De’s speech. Still in hindsight, the decision by our School (and perhaps many other units in the capital) to broadcast the speech so quickly, may have been a silent signal to the people to join the protesters. It is a guess, but it is a possible scenario in Chinese culture. I recorded the message, which was read repeatedly, on my cassette recorder, but unfortunately that recording has gone lost long time ago. The following day, I took the bus to Wangfujing Street, which included a ride on Bus 1 that covered the best part of Chang’an Avenue, the huge boulevard that crosses Tian’anmen Square. There were no vestiges of the riots left to see, but I vividly remember that the riots were still the main theme of the conversations on the bus.
. . . I was surprised to hear people speaking about the turmoil as if it were a daily routine. When the bus passed the Great Hall of the People, where some rioters had attempted to break a door, several people in the bus were pointing at that spot saying: ‘Look, that must be the door!’ They were not for or against the rioters; they were merely curious. Again, those ordinary citizens who were doing their ordinary things had never been exposed to spontaneous riots as well, just like their compatriots working for Public Security. It was a completely new phenomenon for them. It probably fascinated them more than it scared them. 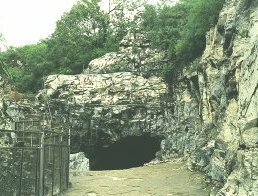 . .
Later that month, we were taken back a long time in history with a visit to the Peking Man site at Zhoukoudian on Sunday, April 23, 1976.
. . . Zhoukoudian is an excavation site south of Beijing. It was my first visit to an excavation site in China. Indeed, it was my first visit to any excavation site period. We had seen our share of buildings from various periods of China’s long history in Beijing and the cities we visited during the winter holiday trip, but this site was seriously ancient. However, there was not that much to see. The actual site was a big hole in the ground with a few openings pointed out to us as caves in which remains of primitive man had been discovered. A small museum had been built near the caves, in which some of the excavated fossils of Peking Man (or more probably, replicas) and some of the stoneware and other utensils made by these ancient people were exhibited. . .
That month ended with another national holiday.
. . . We Dutch are proud of our monarchy. Our sovereign in 1976 was a queen, Queen Juliana. While I am writing these lines, the current Queen Beatrix, has just abdicated on April 30, 2013. From that day, we have a king again. On April 30, 1976, the Dutch, including the Dutch expatriates in all corners of the globe, were celebrating Queen’s Day, the birthday of Queen Juliana. She still only had four years to go, before her abdication, but we did not know that then. Juliana was the queen who looked like everybody’s mother. That was why you simply had to like her; even when you were a republican. . .
. . . the two of us, dressed as formally as we could with the few garments that we had brought from home. With such a small Dutch community in Beijing, every individual was more than welcome at the Queen’s Day party at the Beijing International Club. . . The International Club was not a real club, but was more like a restaurant that foreigners could enter for lunch or dinner, but was closed to Chinese, except those invited by foreigners. It was like the nearby Friendship Store that sold luxury items to foreigners, as a token of friendship, but was strictly forbidden to locals.
. . . My diary does not tell me whom I met there, or what exciting conversation I had with whom. I guess it was not that exciting at all. The bonus you got during those functions was the opportunity to savor proper wine, and we made sure to get our fair share of it. . .
. . . it was a good dinner. Moreover, we had a full agenda. While this Dutch party was coming to an end, we were already eagerly awaiting the festivities of the following day, May Day.